Whenever you need urgent rocket science website development we are here to help and deliver visible world class MICE websites. Our MICE websites are hosted at the most connected and redundant telecom hub in the world, Amazon or Wikipedia are some of our outstanding neighbors. We can reach any corner of the world for you. We work for your greatest profit, we do not engage with a web project unless it is meant to compete for search results rankings. We have SEO and DEV DNA, best of both worlds for your next project. We work with universal standards HTML5 and CSS3 and MySQL database engine, we are devoted to our unique and made-in-purpose RELEVANT CMS which drives all of our work and allow us to be a prime partner. 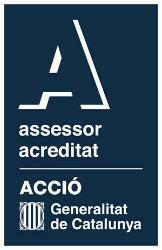 We are based in Barcelona, one of the most vibrant MICE capitals worldwide. We have the skills and talent in any single discipline related to your project, our prices and quality are worth asking.